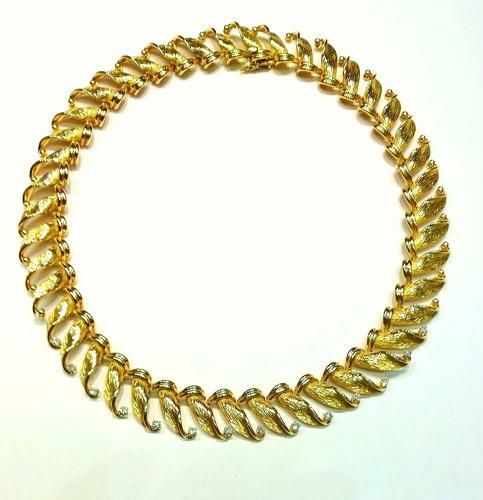 A fine quality 18ct gold collar necklace designed as textured fronds, the middle portion set with brilliant cut diamonds. Well articulated it sits beautifully on the neck. French c.1950's with French gold control marks.